The consequences of supply chain fraud can be severe, yet many companies significantly under-scrutinize their processes. Smart companies have practices in place to help pinpoint and prevent fraud. 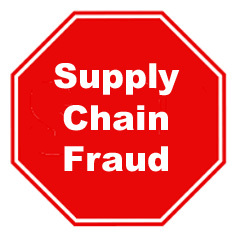 Wade McDaniel, vice president of supply chain solutions, Avnet Inc., offers the following insight and recommendations to help your company address supply chain fraud. Admit you may have a problem. Fraud is a sensitive topic. Most executives don’t want to believe employees or colleagues may be acting unethically. But employees are the top source of supply chain fraud risk, followed by vendors and other third parties, according to Deloitte Advisory’s 2016 Fraud Risk Assessment poll. Don’t jump to conclusions. If your analytics process reveals duplicate invoices, there could be a number of explanations. People do make honest errors, so ask questions before making accusations. Be aware of internal fraud. Many professionals get so focused on operational efficiencies that they overlook profit leakage from internal fraud and the financial, brand, and reputational risk related to their supplier associations. Know your partners. Increasing reliance on supply chain partners can leave enterprises vulnerable. Take time to thoroughly vet new suppliers, including detailed background checks, visual relationship mapping, and business intelligence reviews to identify potential conflicts of interest, indicators of financial distress, or other misrepresentations. Conduct regular evaluations. The front-end approval process should not be the end of your supplier assessment. The players within the supply chain change frequently as employees come and go, and suppliers get bought and sold. These events can change the risk calculus of a relationship, so regular reevaluations are crucial. Perform risk assessment. Organizations need to look at supply chain fraud as an element of their broader supply chain risk strategy. Most companies are doing at least some form of enterprise and supply chain risk assessment. Extending that process to include the fraud piece is a natural, and necessary, next step. Put data to use. Companies taking a more proactive approach to mitigating supply chain fraud employ analytics as part of their ongoing invoicing process. Use data already resident in your enterprise resource planning systems to run fraud tests and other analytics that can identify anomalous or erroneous billing. Tap into unstructured data sources. Leading companies combine data mining and forensic accounting to move beyond analysis of common transactional accounts payable. By using unstructured data sources—such as invoices, emails, and contracts—organizations can identify fraud indicators. Have sourcing visibility. Fraud isn’t always overtly financial. High-tech supply chains, for example, cannot underestimate the ongoing threat of counterfeit components. Visibility into the deepest tiers of your supply chain is essential to assuring the provenance of the products you are sourcing. Stay alert. Three contributing factors are present in every circumstance of occupational fraud, according to noted criminologist Donald Cressey’s fraud triangle model. They are: motive/pressure (perceived financial need), opportunity (weak internal controls/lack of oversight), and rationalization (self-justification for committing fraud).